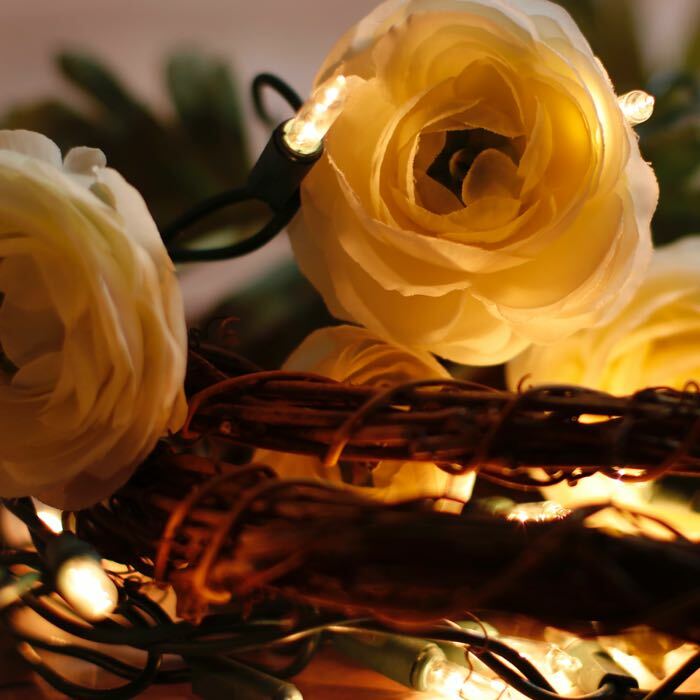 White Christmas lights are the holiday season's most traditional choice. 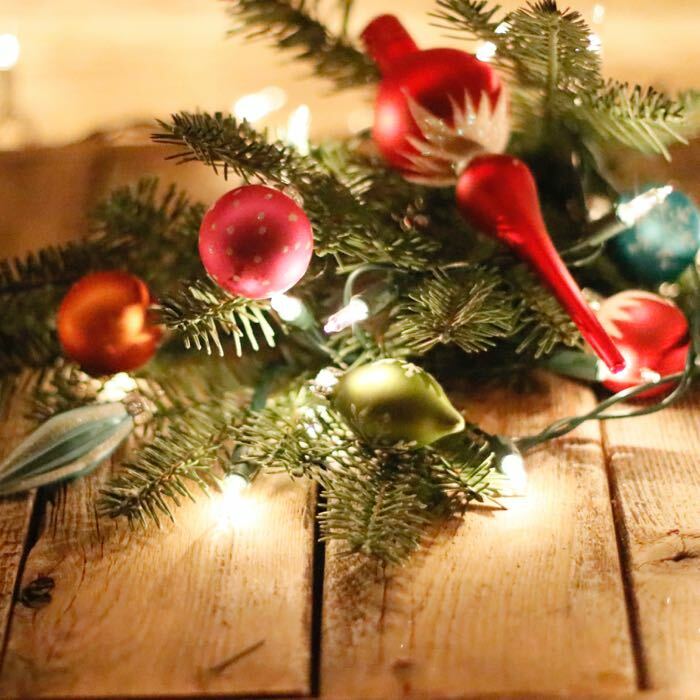 Pure and clean, these lights are just as great for your next party as they are for your Christmas tree. 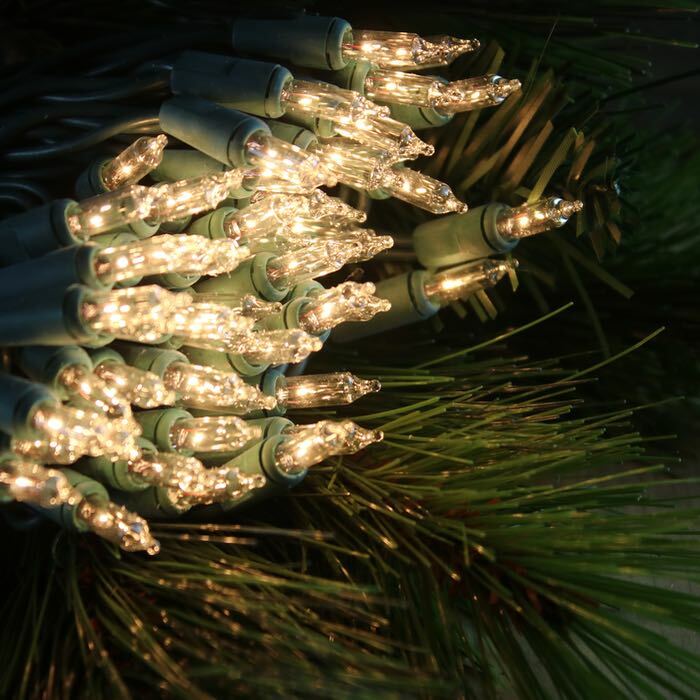 This string of Christmas tree lights has 100 bulbs per set and is just over 50 feet in length. Be sure to only run 5 sets in a series before using a second extension cord. These lights are an ideal choice for bringing events to life. Outdoor parties are more entertaining when your landscaping around your pool is draped with lights. Drape them around trees at your outdoor campsite to make travel memories even more special. 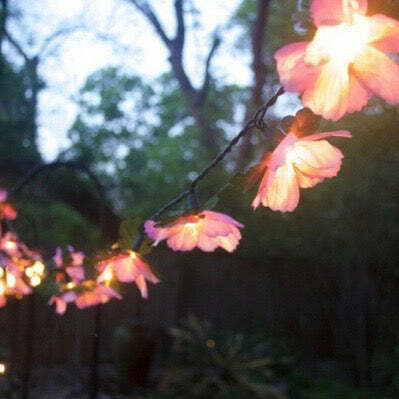 Many customers uses these lights to bring welcome and shine to their outdoor landscaping all year long. 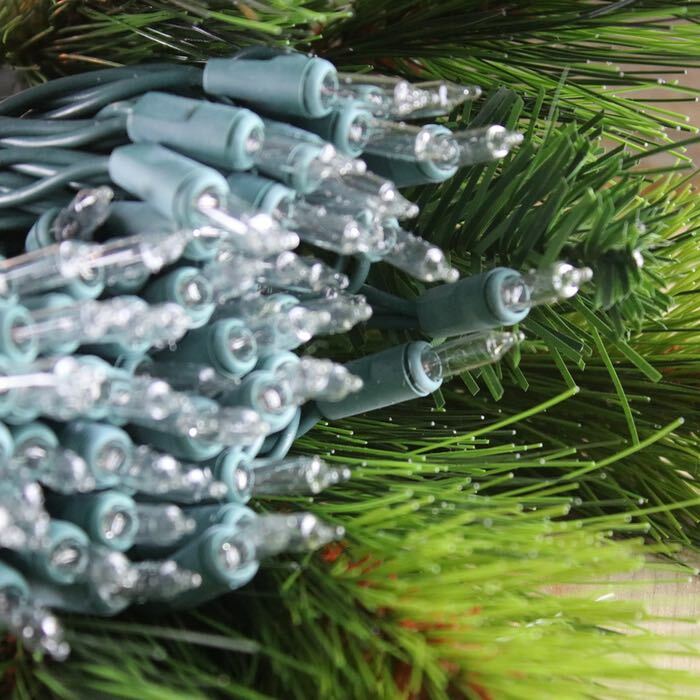 A: The real number of lights you'll need depends on how deep you are going to into the greenery with your lights. I would consider using a light string with 4 inch spacing with that sized garland to maximize your light to wire ratio. I would start with 2 strings of 50 and possibly add on an extra set. Of course, I'm not one to "under-light" a project. 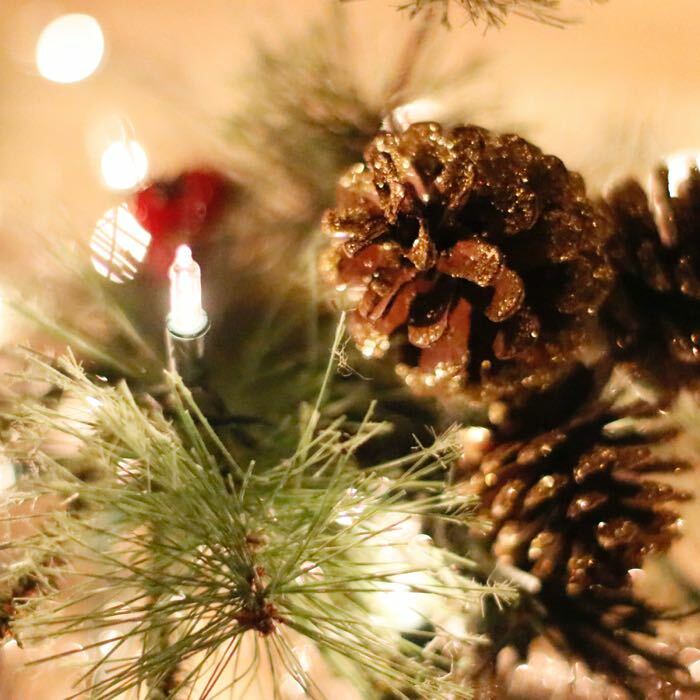 Since shipping is calculated based on weights and size of box, you might consider thinking about all the lights you'll need for this season and purchasing them at one time so that shipping is a smaller percentage of your order. Q: If a bulb goes out, will the strand stay lit? Thank you. Q: When will these lights be back in stock? Thanks! A: Our products are restocked once a year in late summer. These sets should be available again somewhere between late July and the first of September. Delivery can be delayed by weather, customs and strikes. Be sure to sign up for our waiting list and you'll receive an email when they arrive.